I was so happy when I saw a recommendation for Malka's work. Malka has a wonderful eye for design and color, but almost more importantly, listens to what her clients wants and needs are and tailors her focus accordingly. Malka researched tirelessly to ensure we were happy with the design concepts she created and with her warm personality, it was easy to collaborate through the decision making process. We started this project during a busy time of the year, but it did not stop Malka from reaching the goals we set to complete our project on time. I would highly recommend Malka to anyone looking to update or create a space to love for years to come. Thank you so much for this wonderful review, it was a pleasure working with you on your project! Malka from Think Chic Interiors is awesome! 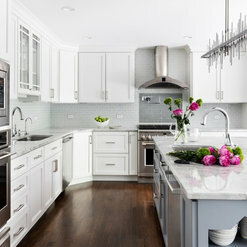 She is extremely knowledgeable about design and really helpful in navigating the endless possibilities that can go into making a renovation come out well. We love our new kitchen and two new bathrooms. Every day, we reflect on what a smart choice it was to hire Malka. The results are stunning, and we get to keep enjoying them every day. Well worth the investment. Thanks, Malka! Thank you so so much!! it was great working with you both! Malka is everything you can wish for in an interior decorator: attentive, responsible, responsive, impeccable taste, fair. In other words, the consummate professional. 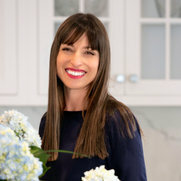 I chose Malka after having interviewed several Westchester and Connecticut based interior decorators. By far, Malka stood out. Not only was her rate structure the most transparent and favorable to the customer, but she struck me as someone who would be easy to work with, especially given my unique circumstances. I had already done a ton of research on furnishings, down to the fabrics, and had a very specific vision of what I wanted. Malka was more than happy to bring my vision to life and to complement the pieces I had chosen with her own suggestions. Together, we decorated the living and dining rooms, entryway, and did all the window treatments in my new home. The final product is magnificent. While I had very concrete ideas of what I wanted, I have no doubt that had I given Malka free reign to decorate my home as she saw fit, the end result would have been equally beautiful. Malka also always looked out for me, trying to find cost-saving opportunities. I doubt the other candidates I had interviewed would have done the same. In sum, if you want your home decorated beautifully and work with a professional who will work with whatever your budget is and has a fantastic attitude about it, I recommend you hire Malka. 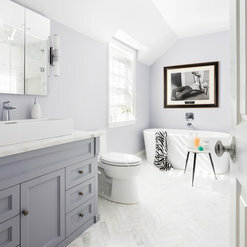 I worked with Malka at Think Chic to renovate two bathrooms and a hallway. My family and I could not be happier with the outcome. 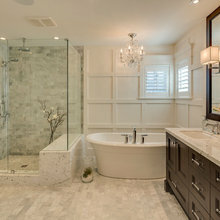 Each bathroom is beautiful and unique in design, and I hardly had to think about anything. I gave Malka a color scheme and she came back with gorgeous designs. 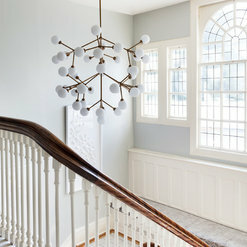 She also handled everything during the renovation including: meeting with the architect and contractor, scheduling installations, find vendors, and choosing the products. I will definitely work with Malka and Think Chic on my next project. I can't wait. thank you so much Alex! it was a pleasure working with you too! I couldn't have asked for a more attentive decorator. Malka and I were in contact several times a day throughout my projects - Not only did she help in the actual design of a new kitchen and several bathrooms, she also worked long and hard with me selecting colors, tiles, and appliances. She has so many contacts in this industry, we always found the hard-to-find items we were looking for and never settled for "plan b". A true pleasure! It was a pleasure working with you on your home! Malka did a wonderful job helping us for about one year as we renovated a newly purchased home. She helped us with the following: picking wall colors, picking living room and dining room furniture and decor, refinishing the kitchen, completely remodeling our kids bathroom, selecting drapery and rods, and helping us find art work or creating our own art work with our kids. She is so helpful and thoughtful. She's a really great listener that will truly give you exactly what you are looking for to create the home of your dreams. Thank you so much for the wonderful review, it was great working with you too! I had a fantastic experience working with Think Chic! 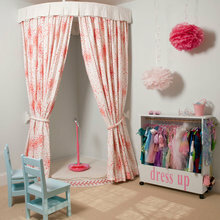 Malka helped give my daughter’s room a “facelift” that was more age appropriate. My daughter and I are thrilled with how the room turned out. Even though it wasn’t a large project, Malka treated it with the same excitement and attentiveness as if it were a huge project. She has great ideas, is very creative, and has a great sense of style. Malka is also able to work within a budget. I highly recommend and personally look forward to working with her again soon! Thank you so much for the wonderful review, it was great working with you! Malka is a miracle worker. She took my 5 office suite and used a my limited budget to make it spectacular. Her knowledge, eye for color and detail and friendly manner made her a pleasure to work with. Thank you so much for the wonderful review Dena, it was great working with you too! 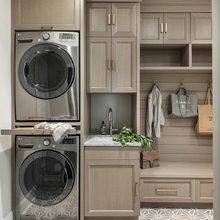 No matter the size of the project Think Chic Interiors was able to design exactly what I wanted! Even though I was not doing any construction and was mostly needing furniture selection and rearrangement Malka took the same care and focus that one would expect for a major remodel. And in fact my living room and dining room looked completely new once she was done! She made choices based on my style and executed them beautifully. Her detail oriented design transformed my house (very quickly)! and she is a pleasure to work with; attentive, respectful and most importantly an extremely talented designer! 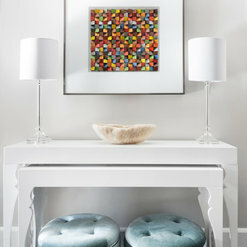 If you want a beautiful transformed space no matter the size of the project I highly recommend Think Chic Interiors. Malka Helft designed my bathroom and it is amazing. She knew my budget and kept well within it while never sacrificing quality materials or style. Honestly it is the bathroom I always wanted (but didn't quite know it or have the style to imagine it!). She has also consulted on wall colors and drapery and I couldn't be happier with the results. From a smaller project to a big one she is great, always professional and worked on my time table. She also was able to work with my difficult contractor and by the end of the project everyone loved her! She has my highest recommendation and I would rehire her in a second, and sure I will. Think Chic was a pleasure to work with. She is creative, works within a budget and understands individual style. Every room she worked with gets rave reviews! 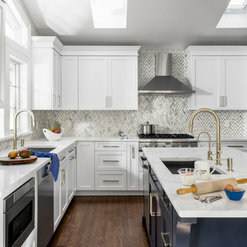 Commented: gorgeous backsplashHi, I got the backsplash at Casablanca Tile and Stone in Harrison, NY. Asked for Ana, she's lovely. Commented: FlooringHi Emily, I believe these are oak floors and the stain is provincial.